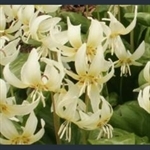 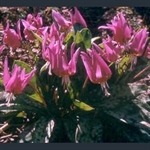 Dog’s-tooth violet; white to dark pink reflexed petals above mottled foliage. 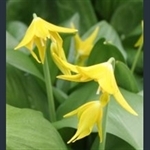 Mottled leaves and several yellow flowers; easy and vigorous. 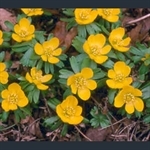 Bright green leaves and several bright yellow flowers.